Xiao Fu was born in Zhengzhou, China. After obtaining her bachelor’s degree in electronic composition from the Wuhan conservatory and working at the Henan State Radio for 7 years as a music editor, she studied from 2010 to 2013 in the master program in multimedia composition at the Hamburg University of Music and Drama. There, she studied with Prof. Peter Michael Hamel and Prof. Georg Hajdu. 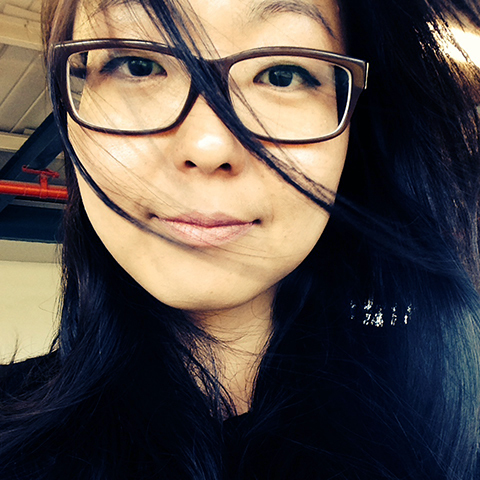 Currently, Xiao is continuing her studies in Hamburg in a joint doctoral program in musicology and composition focussing on gesture-controlled instruments. I use MaxScore since 2014. I used it for different pieces and projects of mine, including the dance theater piece enactment::interchange, which is my final doctoral project. In MaxScore it is really easy to write and playback microtonal music, and ideal for creating graphic notation.